Hydrology is the study of water resources. Hydrology tracks various attributes of water such as its quality and movement. As a tool Hydrology allows researchers to investigate topics such as the impacts of wildfires, logging, and commercial development. Due to cost and difficulty of collecting complete sets of data, researchers rely on simulations. The Distributed Hydrology Soil Vegetation Model (DHSVM) is a software package that uses mathematical models to numerically represent watersheds. In this paper we present an acceleration of DHSVM. As hydrology research produces large amounts of data and the accurate simulation of realistic hydrology events can take prohibitive amounts of time accelerating these simulations becomes a crucial task. The paper implements and analyzes various high-performance computing (HPC) advancements to the original code base at different levels; at compiler, multicore level, and distributed computing level. 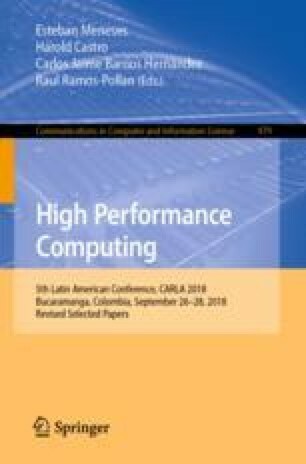 Results show that compiler optimization provides improvements of 220% on a single computer and multicore features improve execution times by about 440% compared by a sequential implementation.